Changes are few and noticeable upon closer inspection only, but highlights include a redesigned grille and larger intakes. 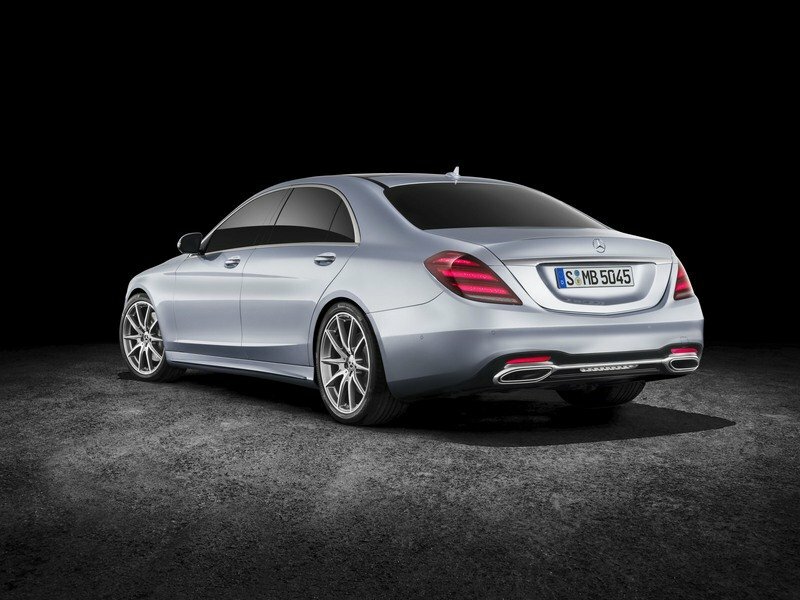 Six- and eight-cylinder models sport three twin louvers and vertical strips with a high-gloss black finish grille. Around back, there are new LED taillight clusters with crystal jewel-like appearance and a revised lower bumper with integrated tailpipe trim. The refresh is rounded off by two new 20-inch alloy wheel designs. New upholstery color combinations include: Silk Beige/Deep-Sea Blue, Magma Grey/Espresso Brown and Mahogany/Silk Beige. 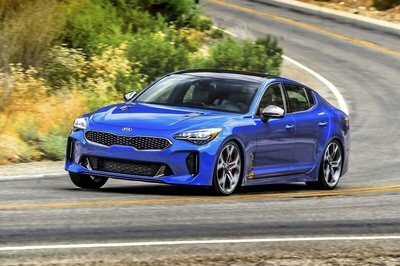 The U.S. lineup now includes a 3.0-liter that’s good for 362 horsepower and 369 pound-feet of torque and 4.0-liter that delivers 463 horsepower and 516 pound-feet of torque. 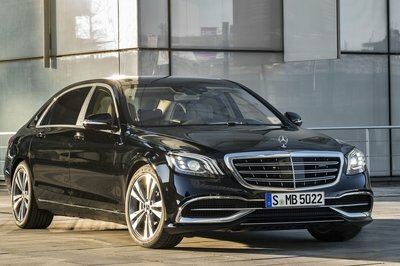 The S-Class starts out at $90,895 for the S 450 Sedan, $93,895 for the S 450 4MATIC Sedan, and $103,895 for the S 560 4MATIC Sedan. 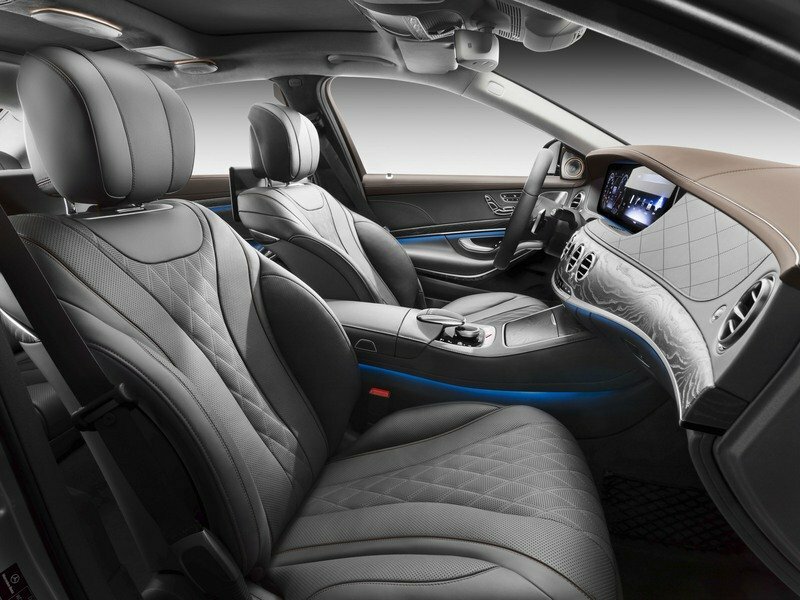 When Mercedes-Benz introduced the latest-generation S-Class in 2013, a new benchmark in the luxury class was established. 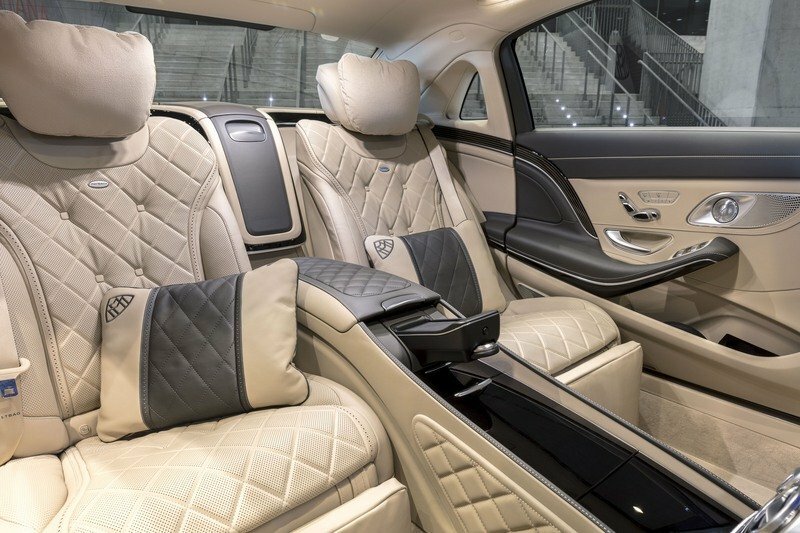 And although BMW launched a redesigned 7 Series just last year, the S-Class remained the top-selling sedan in this class thanks to its imposing looks, tremendous interior, and state-of-the-art tech. 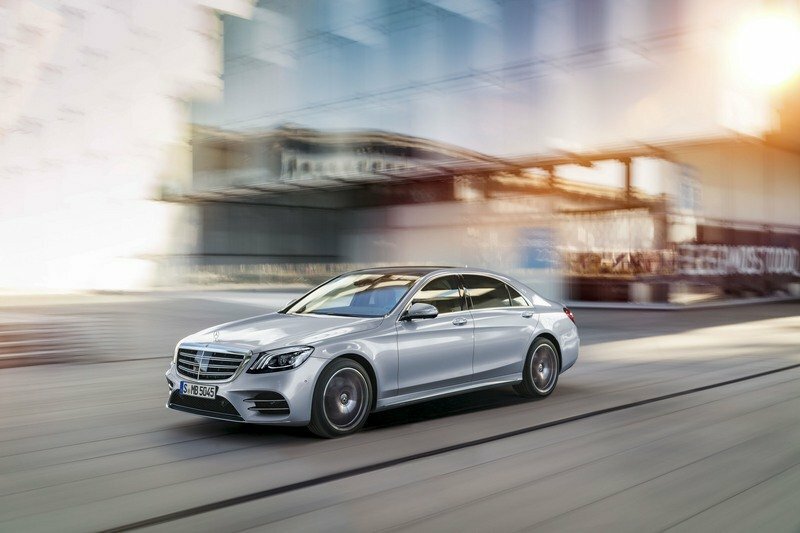 But the sedan is already three years old as of 2017 and Mercedes has now rolled out a facelifted version with even more goodies. 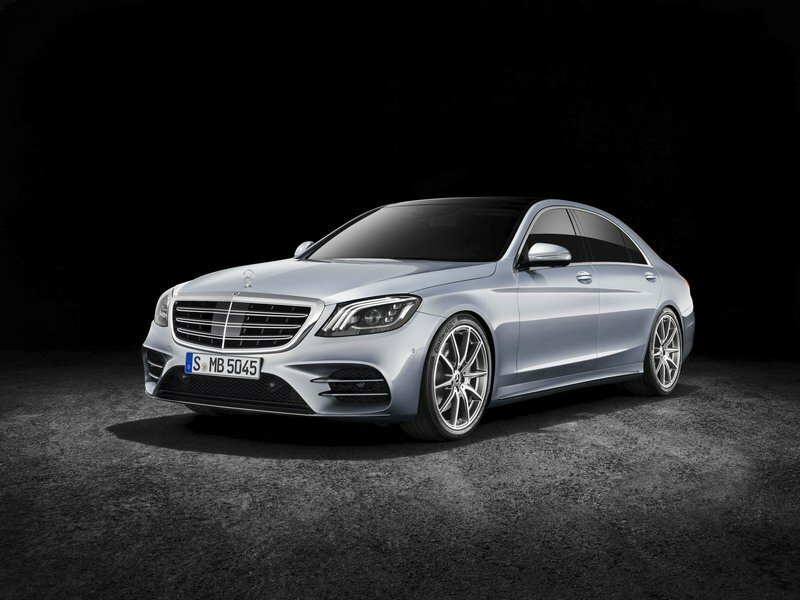 Unveiled at the 2017 Shanghai Auto Show, the revised S-Class is almost identical to the outgoing model as far as looks go. Novelties include a redesigned grille with three twin louvers and vertical strips in high-gloss black, new LED lights, and lower rear bumper section. However, modifications are more notable inside and under the hood. 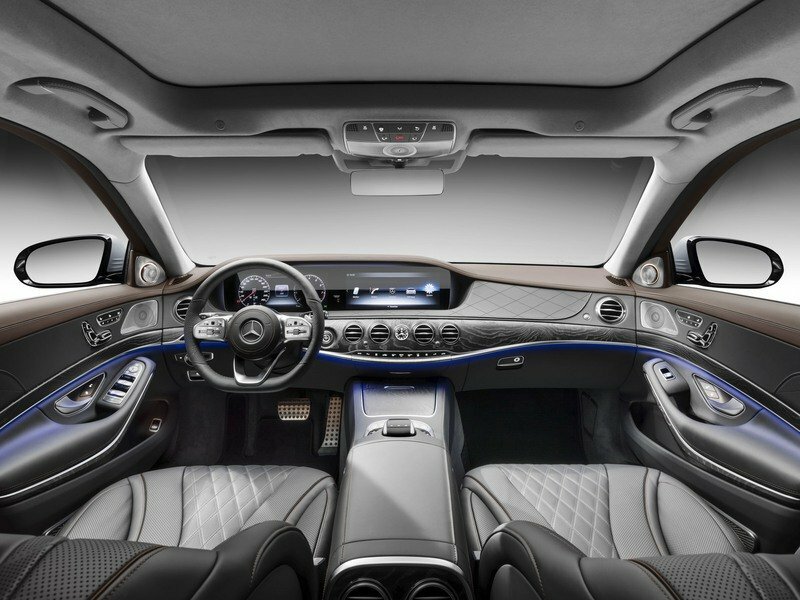 The cabin now comes with the company’s latest 12.3-inch screens in the instrument cluster and center stack. The full-size also gained the Touch Control Buttons on the steering wheel that respond to swiping motions like the screen of a smartphone. 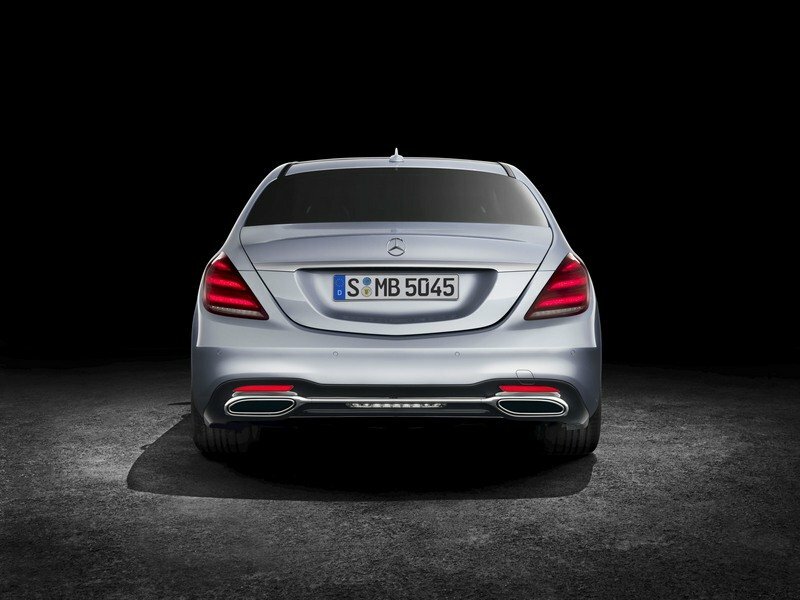 This feature debuted on the latest E-Class last year. 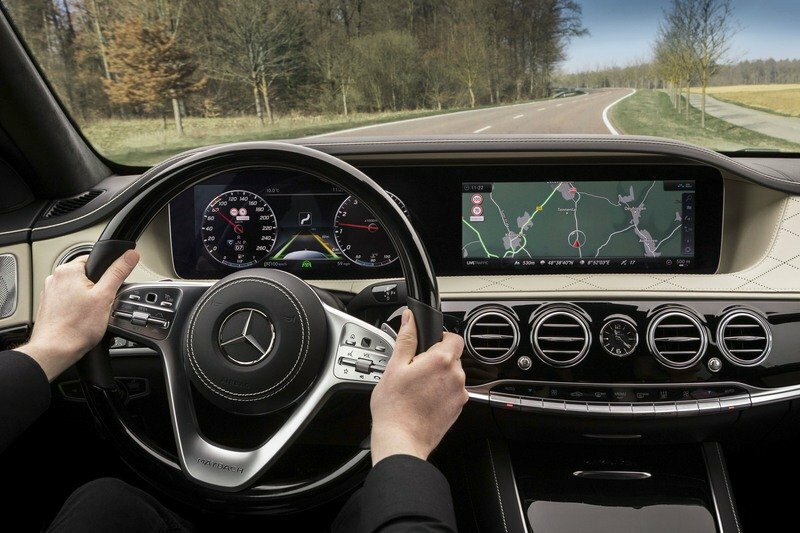 Additionally, the S-Class received all the semi-autonomous driving tech from its smaller sibling, including Distronic Active Proximity Control, which uses GPS data to slow the car down for roundabouts, junctions, and corners, among others. As far as materials go, there are two new natural grain ash wood trim offerings and three new upholstery color combinations, Silk Beige/Deep-Sea Blue, Magma Grey/Espresso Brown and Mahogany/Silk Beige. There’s even bigger news under the hood, especially for customers in Europe. 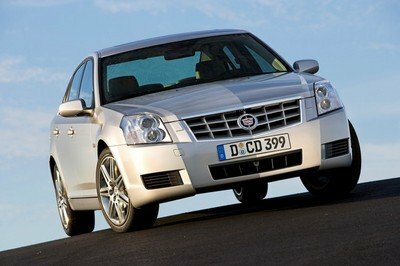 A 3.0-litre in-line six-cylinder diesel replaced the existing V-6. The new mill cranks out 282 horsepower and 443 pound-feet in the S350d (a 27-horsepower increase and 14-pound-foot decrease) and 335 horses and 516 pound-feet in the S400d. The latter is the most powerful diesel Mercedes-Benz ever. 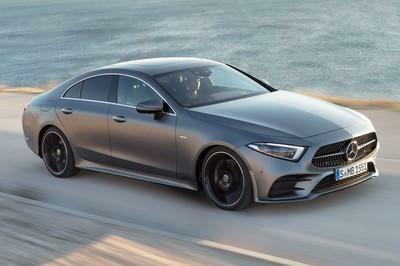 In the gasoline department, the S500 model was replaced by the S560, with the old 4.7-liter V-8 ditched in favor of the newer, twin-turbo, 4.0-liter with 463 horsepower, and 516 pound-feet, and cylinder deactivation for enhanced fuel economy. The revised sedan will hit showrooms in July, likely with a slightly higher price tag. 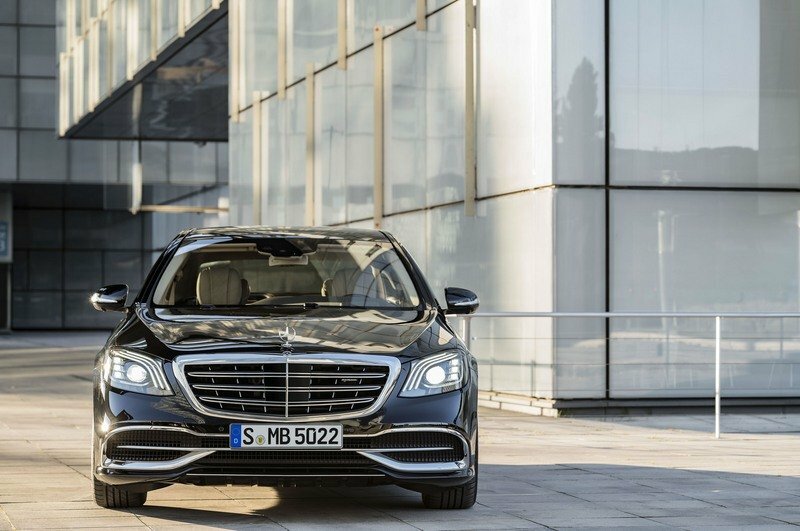 Granted, the facelifted S-Class doesn’t come with any surprises, but it gets all the updates it deserves as the company’s flagship vehicle. 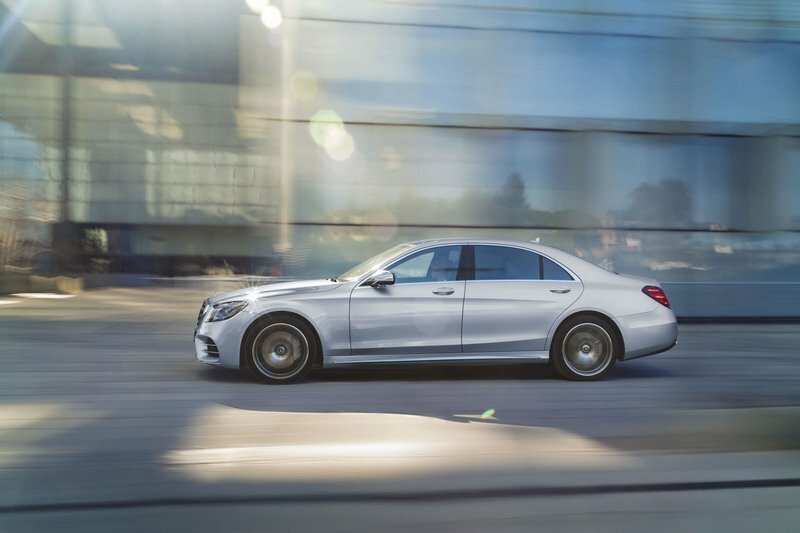 Let’s face it, it was a bit ridiculous to talk about the semi-autonomous drive and new tech in the E-Class but ignore it when talking about the S-Class, especially with the new BMW 7 Series being superior in that department. But not anymore. 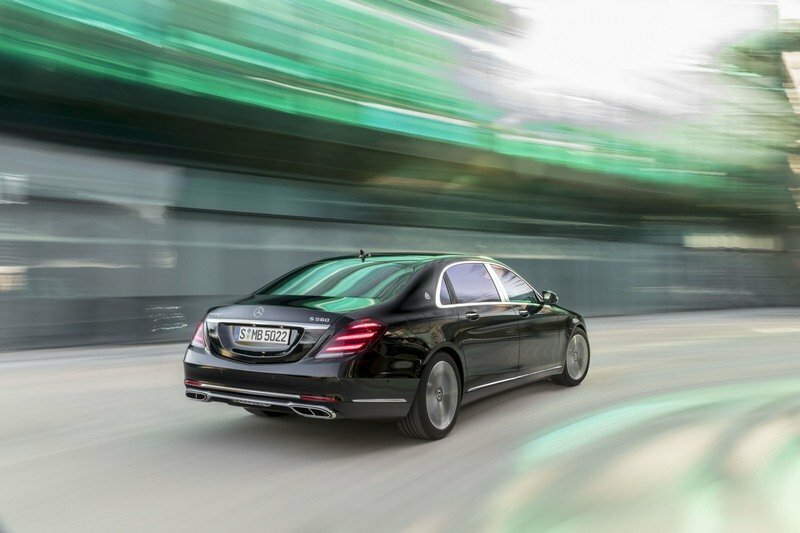 The S-Class is now as ready as it can be to once again lead the full-size luxury segment in every respect.